Adult Day Supports programs foster dignity, self-direction, increased independence, and improved quality. The goal is to promote quality of life and independence through providing personal care, nursing support, and dietary services. Through social interaction, purposeful activity, and leisure experiences, Adult Mentors provide highly individualized training. The combination of physical fitness activities, basic computer proficiency, and daily living skills creates a unique opportunity for growth in a nurturing community environment. Redwood also offers speech, physical, and occupational therapy. These specialized services are designed to enrich life during the adult years. Through this unique mix of supplemental programs, men and women are given the opportunity to achieve new levels of independence. Nurses are also available throughout Redwood to deliver any physician prescribed services, such as medication administration, gastrostomy feedings, respiratory treatments, and tracheostomy care. Dietary staff are on hand to make sure adults receive a nutritious meals that meet all dietary restrictions and feeding guidelines. For more information regarding Redwood's Adult Day Supports programs, contact Terra Heitzman or explore the program links to the right. If you have questions about speech, physical, or occupational therapy, please contact Peggy Farmer. 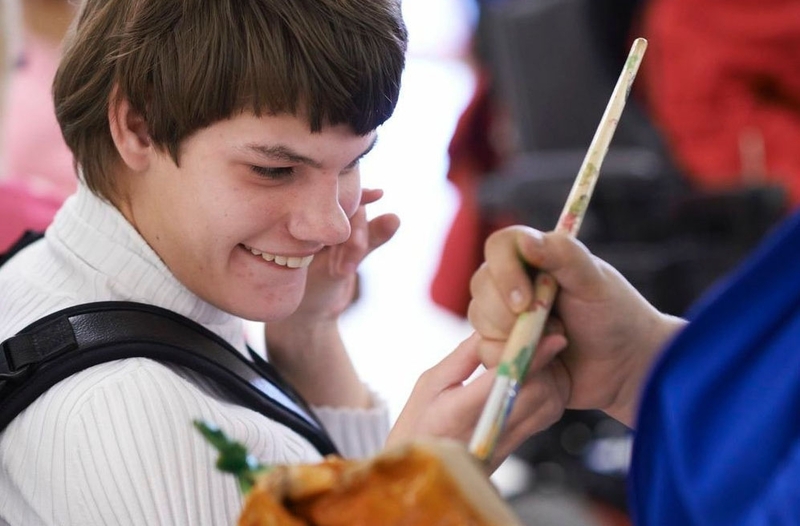 Operating in partnership with area businesses, Vocational Supports programs offer a comprehensive mix of vocational training and employment services to help adults with disabilities prosper through the power of work. Adults learn increasingly complex work and life skills to access jobs and maximize self-sufficiency. Vocational Supports increases self-sufficiency and dignity through the power of work. 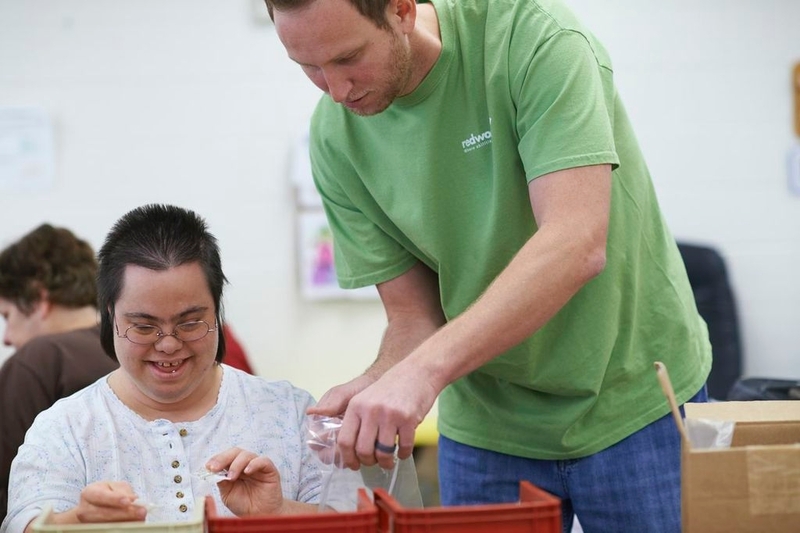 Just like Adult Day Supports, Vocational Supports offers access to speech, physical, and occupational therapy and other specialized services designed to help adults gain employment. In addition, adults enrolled in Vocational Supports receive supplemental dietary, nursing, and personal care to assure that basic life needs are met. Skilled nurses provide a wide range of physician prescribed services, such as catheterization, gastrostomy feedings, respiratory treatments, and tracheostomy care, while our dietary staff strives to provide nutritious, delicious meals appropriate for the adult's special needs. Personal Care Assistants standby ever ready to address other needs, such as toileting, changing clothes, and other activities of a more personal nature. For more information on Vocational Supports programs, contact Tarsha Henderson or explore the program links to the right. For information on speech, physical, or occupational therapy, please contact Peggy Farmer. All Adult Day Supports and Vocational Supports programs are accredited through the Commission on Accreditation of Rehabilitation Facilities (CARF).